This little cute wooden house near the sea is located in the middle of Sala Dan Commumity where in all conveniences are available. It is designed in Chic Chinese Style and is divided into 3 zones. The first zone is the guest house room complete with all facilities. The 2nd zone is the front coffee bar area that has tall table and dark brown color chairs which looks comfortable and relaxing. And if you want an atmosphere of the seaside, you can walk through the coffee shop and go behind you will find a seaside restaurant. There is a wooden terrace which makes it look wide and spacious and it is decorated with oil painting, adding to the eased and relaxed atmosphere. As our name 'Sincere' is the concept of our service. Even we are just the small place but our service mind is big, you will find out when you stay here, this is true. 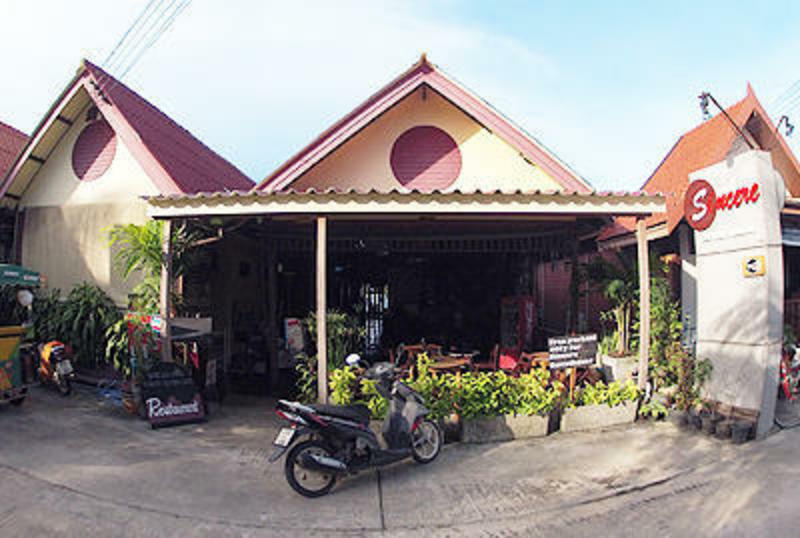 Once you arrive on Koh Lanta, finding Sincere Guesthouse is very easy. If you come with the boat ferry when you arrive at the passenger pier (Saladan Pier) turn right and walk along the road just few step Sincere Guest House is on the right side. If you come with Mini Van, Please let the mini van to send you to Sincere Guest House in Saladan Town.